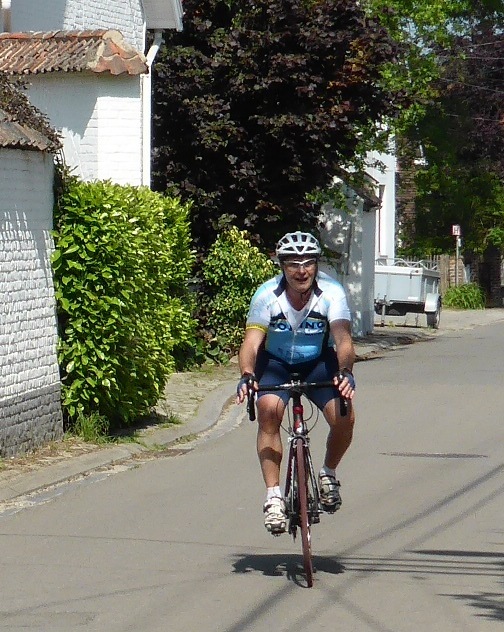 My last Sunday in Belgium before I head off for Australia and New Zealand for Velo-city 2014 and some overdue holiday. 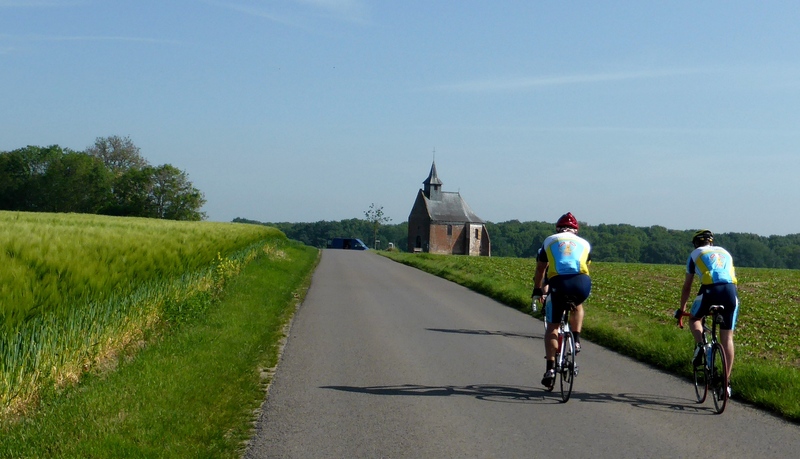 So it was fitting that the weather turned on a spectacular day, the Walloon countryside was beautiful and we had a brilliant Sunday ride with an unexpected twist. 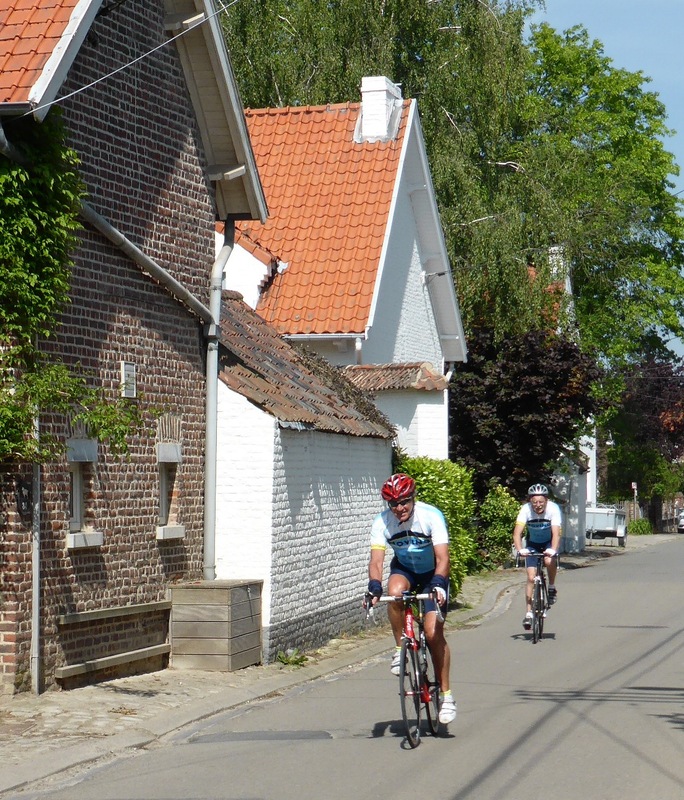 One of the special features of Belgian roads at this time of year are the coloured arrows painted on the road that appear from time to time and then gradually fade away until next year. Each set of arrows is a secret code with its own distinctive colour and shape so that they cannot be confused with other sets cutting across the route or even pointing in the opposite direction. These are the route arrows for the calendar of randonnées and local rides that crisscross the countryside every week, from local balades (shorter tourist routes) to the full on classic sportif rides. Even if you don’t actually ride the events the route markers are a magical mystery tour for months afterwards, should you chose to follow a trail with unknown start and end point. 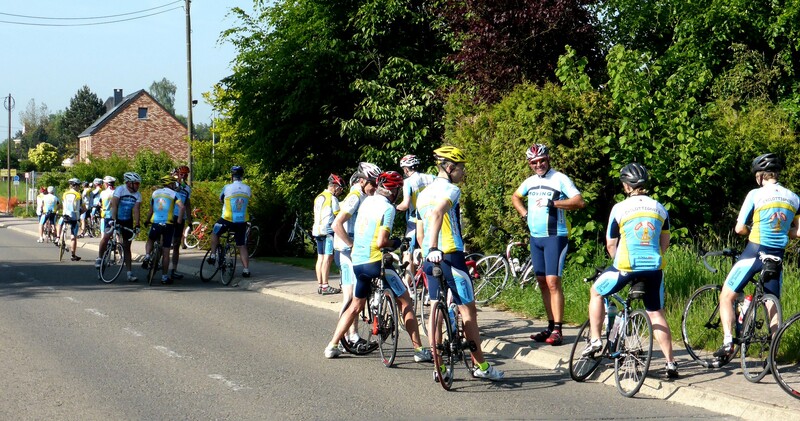 This Sunday our club decided that our regular ride should be combined with La Stephanoise, an event run by another touring club nearby. 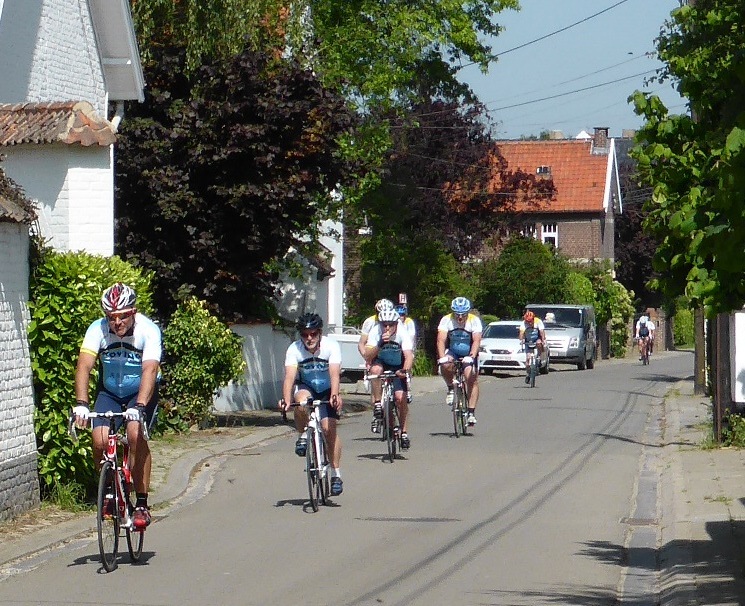 We cycled a few kilometres across to their start point in a local sports centre and then set off to follow the orange arrows in a circular tour. It was perfectly marked out and such an easy system to follow, it seems crazy how much hassle we used to go to in the UK to get our routes marked out or produce route cards, here it is just a simple, practical part of cycling culture. It was an outstanding day, starting off down a whole network of yet more tiny lanes that I would never have found myself. Then gradually it became clear that we were swinging north and the latter part of the ride was going to be around some of the lanes close to my house. And then…..of course! 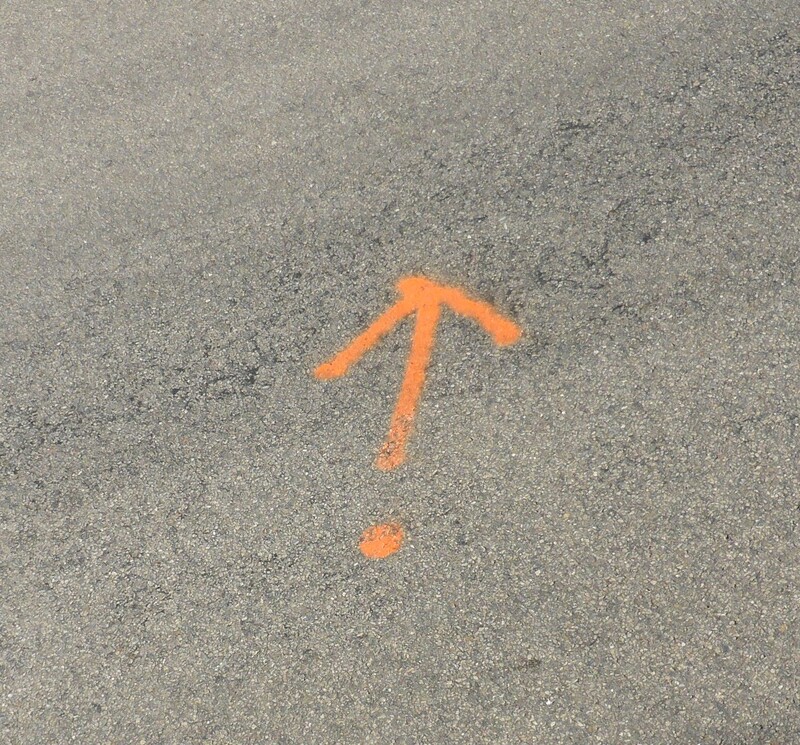 I had been out on Saturday, and weren’t those orange arrows actually the ones on my route home? They were indeed, so I had the extremely pleasant surprise of being able to sprint up to the gate ahead of the group and take some extra pictures as they drifted by in small groups, yet to regroup after being broken up by the rather nasty hill out of the valley. I do hope the paint doesn’t fade before I get home from my next trip, for the moment I have my own personal randonnée. 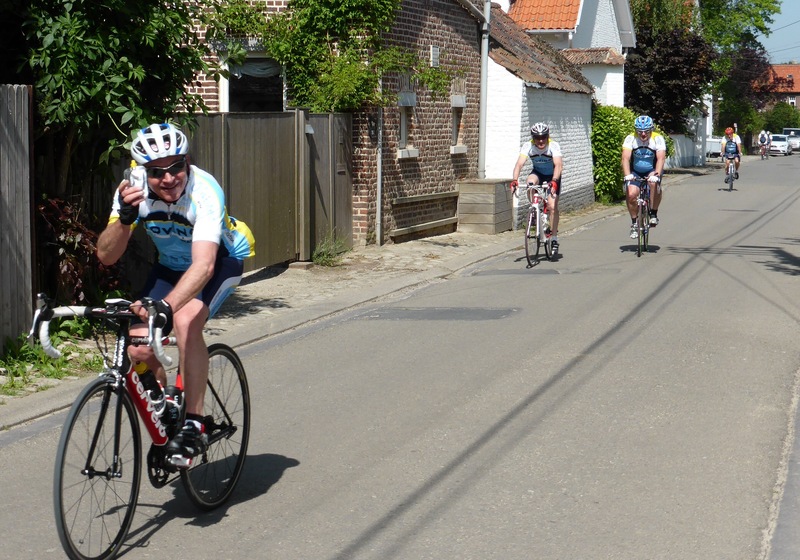 The Cyclottignies Group 2 gallery – from puncture break to beautiful climbs and descents. 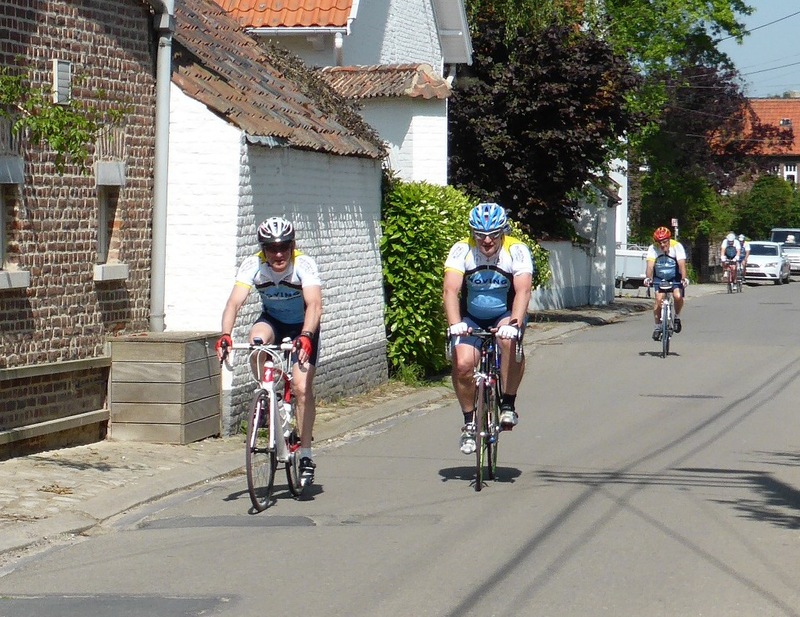 This entry was posted in Life in Belgium, Musings, Social and tagged Belgique, Belgium, cycle touring, cycling, Cycling Clubs, Cyclottignies, Touring, Wallonia, Wallonie by kevinmayne. Bookmark the permalink. wow NZ and Australia – you really get to travel. We are planning a trip down next year. 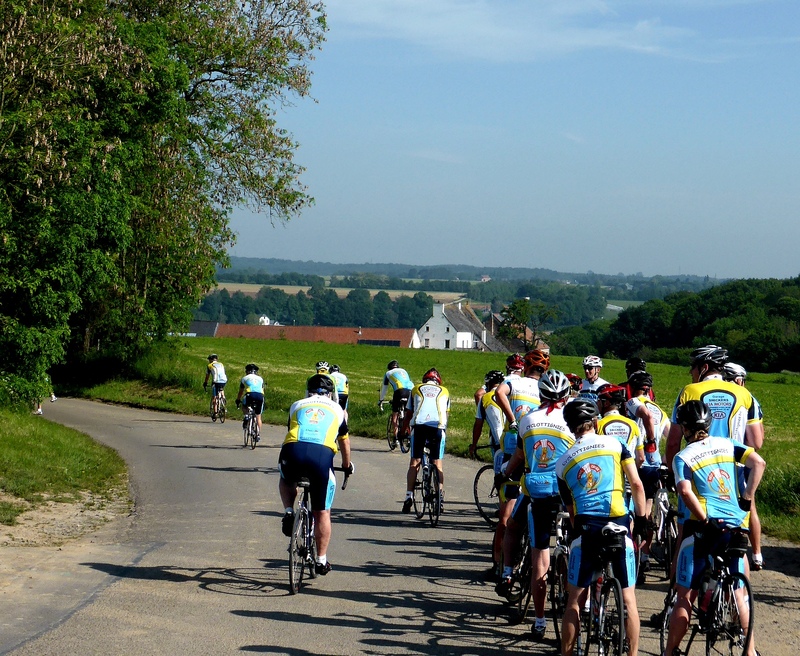 I’d love to hear about any cycling trips that are especially good there. You will! Here of course. But it will be winter – better to read Serendipities of Life for a summer tour. what a tuff life you have! 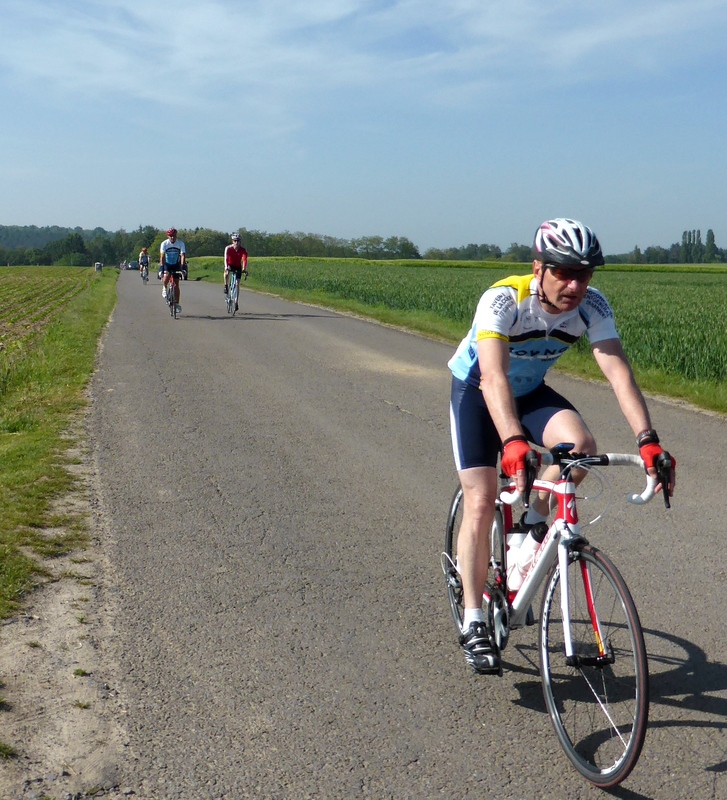 I suffer for cycling ……. honest! 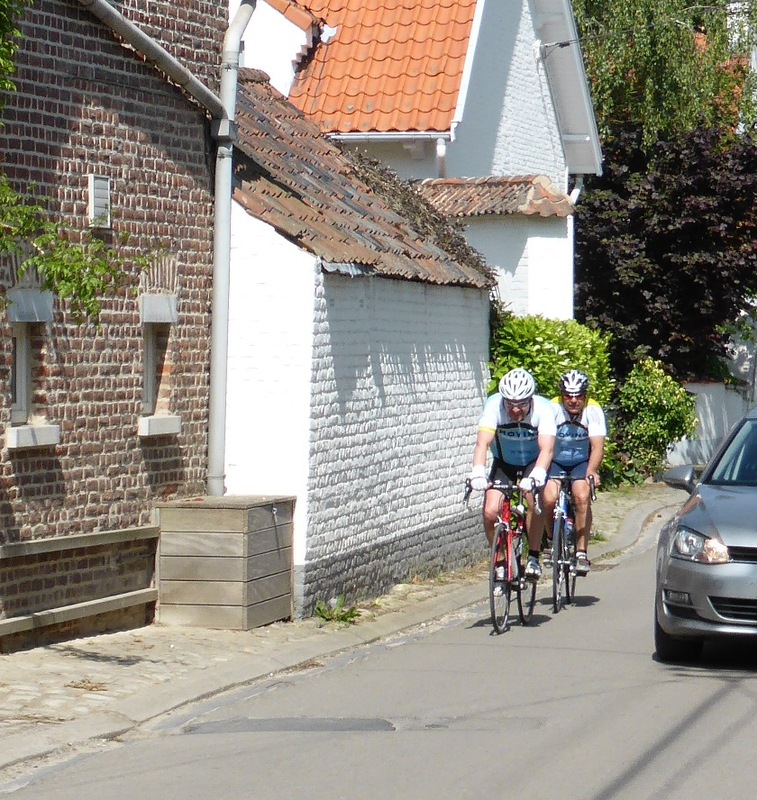 I know when Chimay used to sponsor a series of rides one condition was that it could be ridden anytime 3 months either side of the event day – pretty easy with specific road markings. Takes very little time and people can’t take signs down – saying that its often not that easy to spot the design of arrow you are looking for amongst all the other fading ones. Tin of spot marking paint and some stencils – easy peasy.